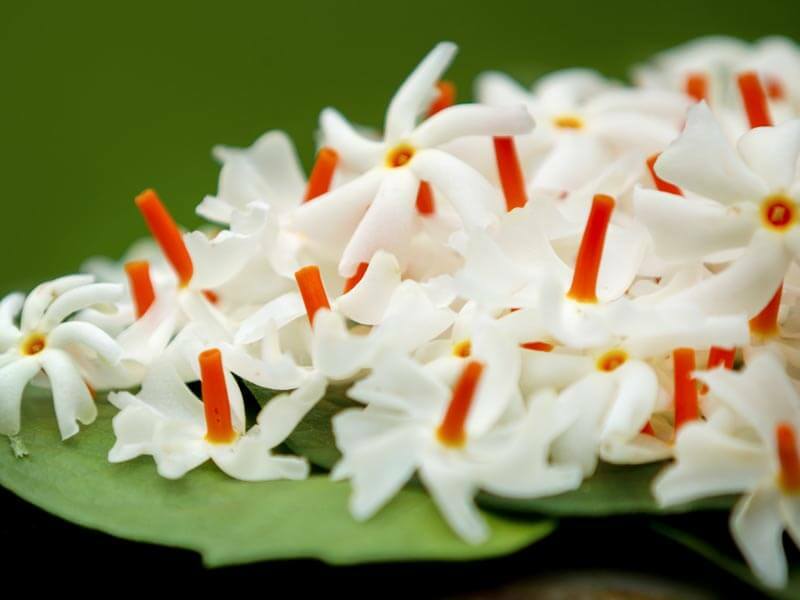 Night-flowering Jasmine These flowers are so heavenly fragrances but release its fragrance only at night. It is also called Shiuli in Bengali and Harshringar in Hindi. This is one of the best healing herbs. The word, Pārijāta refers to the Indian coral tree, night-flowering coral jasmine, or simply fragrance. But, written and pronounced as Parijāta it means – descended from, begotten by or fully developed. In Hindu mythology, the celestial Pārijāta tree is the tree of the universe which is owned by Indrani and planted in svarga located between heaven and earth, which tree, also known as Kalpa-Taru, is believed to yield all objects of desire. This tree is identified with the Mandāra tree. Posted in CEE’S FUN FOTO CHALLENGE and tagged Cee's Flower of the Day (FOTD) Challenge, flower, fragrance, Jasmine, Night-flowering jasmine, plants, trees. Bookmark the permalink. Write a story in less than 10 words about a dream. Dreamt of flowers and the fragrance still lingers on. Posted in Story and tagged A Month of Mini Writing Challenges 2017- Day 14, dream, flowers, fragrance. Bookmark the permalink.